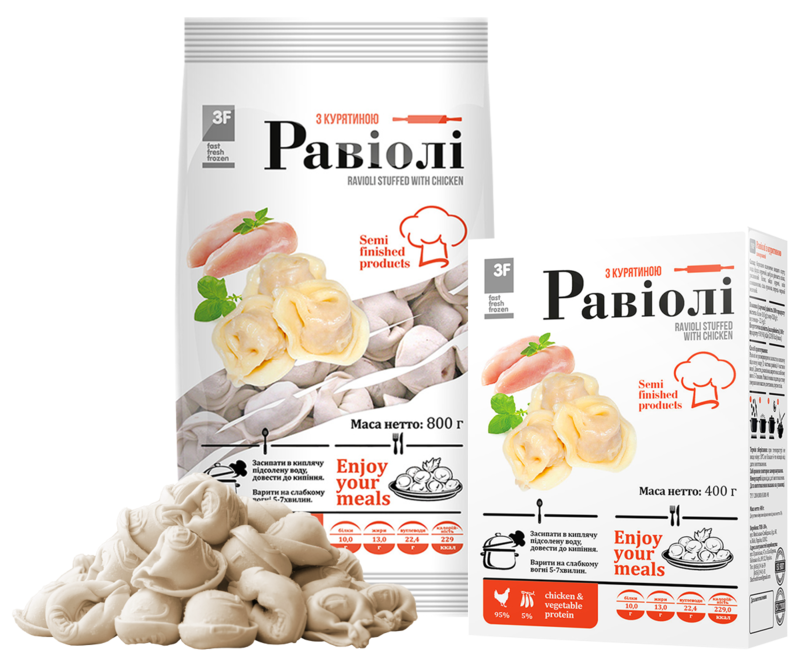 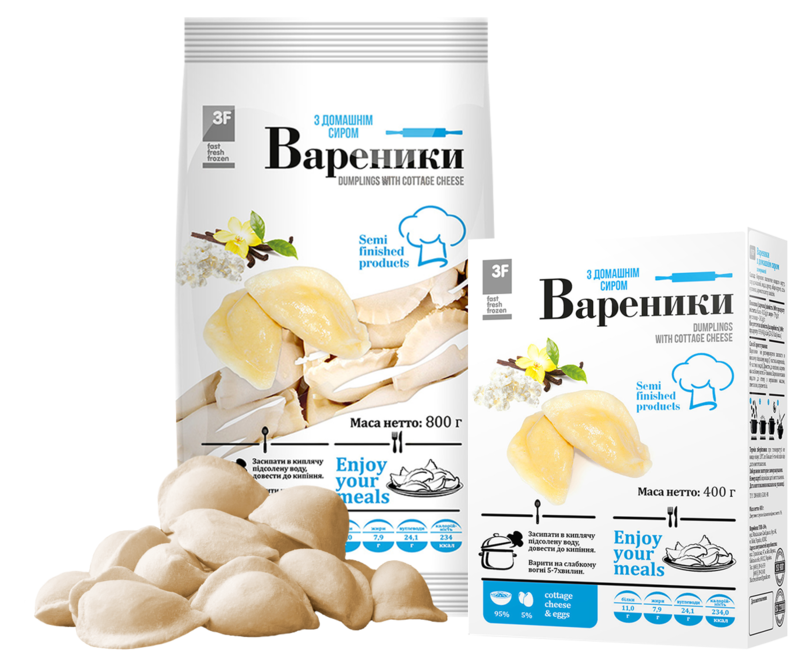 Pelmeni – dough products with filling (ground meat of livestock or fish, mushrooms, seasonings). Ravioli – small round shaped dough-stuffed products, a variety of Italian pasta. Traditionally cooked in boiling water, served and used with vinegar, butter, sour cream, various sauces.